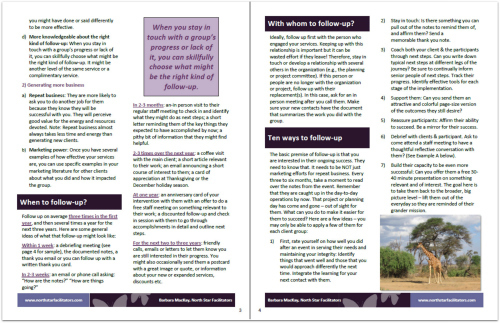 Who loses when you don’t follow-up with a group with which you have worked closely? Everyone! 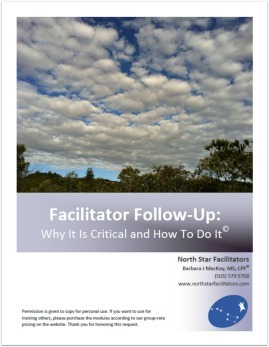 The follow-up phase of facilitation is often neglected yet easy to implement if you know what to do. It can be as simple as providing accurate documentation of the event, meeting with your client to debrief and identify next steps, and tracking the progress of subsequent activities.